Shogun 2 is set in 16th-century feudal Japan, in the aftermath of the ?nin War. The country is fractured into rival clans led by local warlords, each fighting for control. The player takes on the management of one of these clans, with the goal of dominating other factions and claiming his rule over Japan. The standard edition of the game will feature a total of eight factions (plus a ninth faction for the tutorial), each with a unique starting position and different political and military strengths. The limited edition includes an exclusive ninja clan, the Hattori, and a DLC unlocks a tenth clan, the Ikko-Ikki. 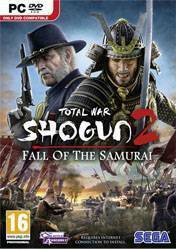 The game moves away from the European setting of previous Total War games and returns to the first setting in the Total War series, but making significant changes to core gameplay elements of Shogun 2. For example, to reflect the characteristics of East Asian warfare, the game's AI is designed on the principles of Sun Tzu's The Art of War. Also, compared to Empire which spanned almost the entire globe, the new installment focuses only on the islands of Japan(excluding Hokkaido) and on a reduced number of unit types. The best total war. Forget the others if you want one about renaissance / pre WWI era, this is the one where you have complex politics, long campaign, great units, great plot, great architecture and naval battles.